Diamond Online ran an interview today with Nintendo's president Tatsumi Kimishima, where a number of topics were discussed. You can see a summary of that interview below. 1) Diamond Online in Japan today ran an interview with Nintendo president Kimishima. He says Miyamoto's target of selling 1 Switch per person (as opposed to 1 Wii per household back in the day) sounds impressive but that the price is a high hurdle. He still thinks it’s possible. 2) About China, he says local regulations make it impossible to export the Switch and its software as is. Says the Switch can be enjoyed in Japan, the US and in Europe in the same way. About the 3DS, Kimishima says the device continues to sell well, especially to kids. 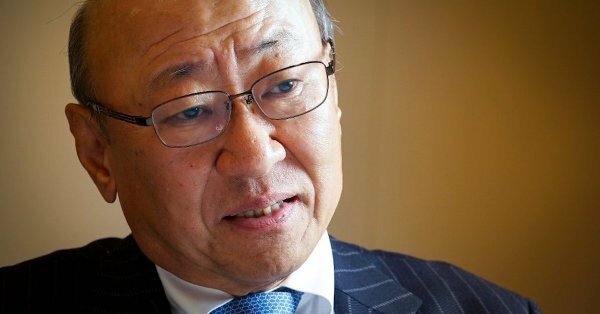 3) About smartphone games, Kimishima believes they can co-exist with Nintendo’s console titles. He confirms 2-3 apps to be released per year, with the business model depending on the character the title in question is based on. Kimishima says Miitomo was a learning experience. Anyone who wants a Switch in China can very easily walk into their local electronics store and pick one up along with just about every Switch game. I guess Nintendo is talking about entering China in an “official” capacity, but otherwise it’s very easy.